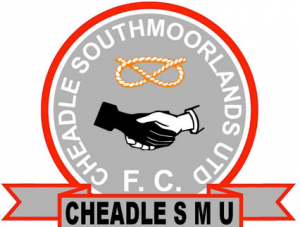 On behalf of all the volunteers, coaches and managers of Cheadle South Moorlands United Football Club (‘CSMU’), I would like to welcome you to our club website. The Club has grown from strength to strength over recent years, and we hope to continue this growth and success of the club, with the support of the committee, our fellow coaches and most importantly our players. As a well-run club, the committee, managers and coaches are all volunteers and are committed to investing time and effort in all players that join us, whatever their ability, to help introduce them to football in a well-organised, safe and fun way. We want to ensure that every child that joins us, enjoys playing football and develops their skills to be the best they can possibly be. CSMU prides itself on achieving FA Charter Standard status with coaches qualified up to FA Level 3. Our coaching is undertaken by qualified coaches who are trained to a minimum of FA Level 1 ‘Certificate in Coaching Football’ and have been screened for their suitability (C.R.C.) for working with children. The energy and enthusiasm that can be seen each week, and the passion of league games, is something we are all very proud of and reward for all the hard work. However, we ensure respect and integrity is shown and instilled in all our activities from an early age and is maintained from our youngest team through to our oldest team. As a club we currently have around 300 children representing the club in our teams and training programmes – quite an achievement and recognition that the children enjoy the playing environment. Our training sessions are designed to spend time with a football to develop confidence before progression starts. We encourage FA trainers from the local academy to attend our sessions so that they can observe and provide feedback. Our coaches are encouraged to increase their qualifications to improve all aspects of football coaching. As a spectator, parent or carer of a child at CSMU we encourage active support to help us, whether this is by bringing them to training on time and with the correct kit, or supporting them in matches, this involvement is very important to us. It only takes a little bit of commitment to make a big difference to a child and without this help we could not continue to function. Coaches or parent assistants are always needed. We remind all spectators and those involved that we adhere to the Charter Standard Schemes and to FA Best Practices and FA Respect Programs. The information adhered to by the club is available on our website along with important information about the club. I would like to highlight the Respect part as an important note. We sometimes forget that they are children playing a game and we have a responsibility to let them enjoy the experience. As Chairman, I am very much looking forward to watching the further development of our teams and the continued growth of CSMU.